Amanda McKittrick Gonzales developed a passion for travel from a young age as she traveled to Walt Disney World annually with her family. As a teenager she traveled to Mexico and Europe often and decided that traveling around the world would always be an integral part of her life. Now as a happily married mother of four children and parent to son with Autism, she has become an expert in traveling with children with special needs. She has found that traveling to Walt Disney World with an Autistic child or with people of any age with special needs is one of the most rewarding and accommodating places to visit for a family vacation. In addition to obtaining her BA at Tufts University, she also has a MS from Wheelock College and has completed multiple travel related courses, conferences and specialist programs. Some of these include, the Disney College of Knowledge, Universal Studios Specialist Program, Disney Cruise Line Specialist On board training, Disney's Earmarked Conference and the Ensemble Conference. This is in addition to becoming an Alaskan and Caribbean specialist and completing online training programs for all of the major cruise lines. Amanda is enthusiastic about her knowledge and loves to plan personalized and customized vacations for groups, families and more! 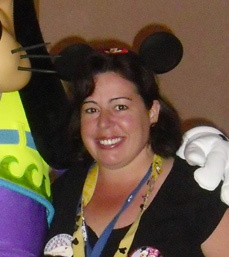 Amanda's hobbies include running and she has completed three Disney half marathons. She also loves to cook, read and spend time with her family especially when traveling to Walt Disney World and beyond! Amanda would love to help you plan and book your vacation!